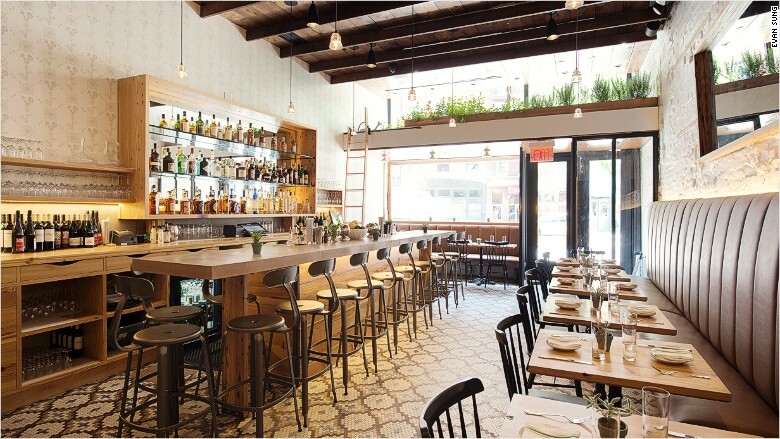 Servers at Meadowsweet in Brooklyn will earn at least $27 an hour next year. Another big name restaurant is giving up on tipping, and will instead pay its servers $27 an hour. Meadowsweet, a Michelin-rated restaurant in Brooklyn, will eliminate tips starting January 1 and raise menu prices 16% to 20% to make up for the change in customers' bills. But even more noteworthy: Servers will make $27 an hour. Hourly workers in the kitchen will continue to earn around $13 an hour (plus overtime) at first and could gradually make more. 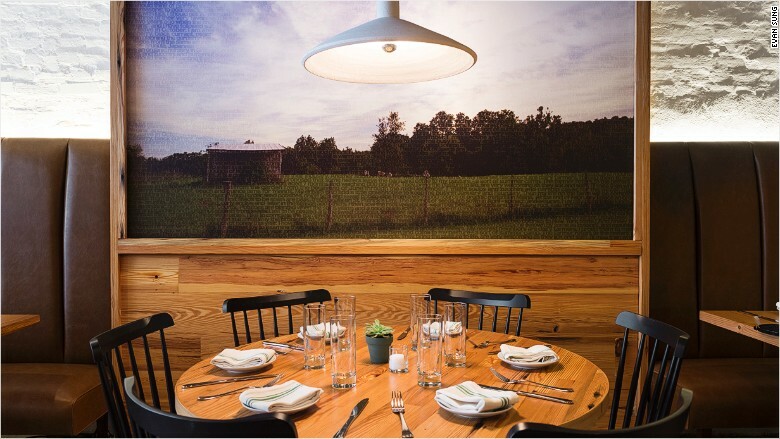 "The goal is over the next couple of years, we can raise the income of every back-of-the-house employee," said Stephanie Lempert, general manager and owner of Meadowsweet. She said the change was prompted by a recent New York law raising the minimum wage for many restaurant workers. On January 31, the minimum wage for tipped workers in New York is going up to $7.50 an hour. "We wanted to run the restaurant moving forward in a way that all our employees can benefit more financially." Prices on the menu, which can include roasted cauliflower to share for $10 and a Colorado lamb loin for $34, will go up, but not all diners will feel the impact. "The average tip was 22%," according to Lempert. "You are limited in what you can charge a guest, you don't want to charge a guest too much." All employees will also be eligible for bonuses when the restaurant hits sales targets on busy nights and holidays. Eater.com first reported the news earlier this week. Meadowsweet follows several New York City restaurants that have eliminated gratuities. Eleven Madison Park announced earlier this month it will increase menu prices by 31% to include service starting next year. That means the tasting menu, without a wine pairing, will be $295 per person, before tax. In October, Union Square Hospitality Group, which is run by Danny Meyer and operates 13 restaurants in New York, including Union Square Cafe and Gramercy Tavern, announced its plan to gradually go tip free. The no-tipping movement is also gaining ground in the casual dining world. Joe's Crab Shack said in November that it has been testing a no-gratuity policy at 18 of its restaurants.